The common myth with exterior surfaces, such as composite decking, stucco, brick, pavers and vinyl siding, is that they are maintenance free. With a little “Googling” you will find that this in not the case and in many cases you can even find class action lawsuits. 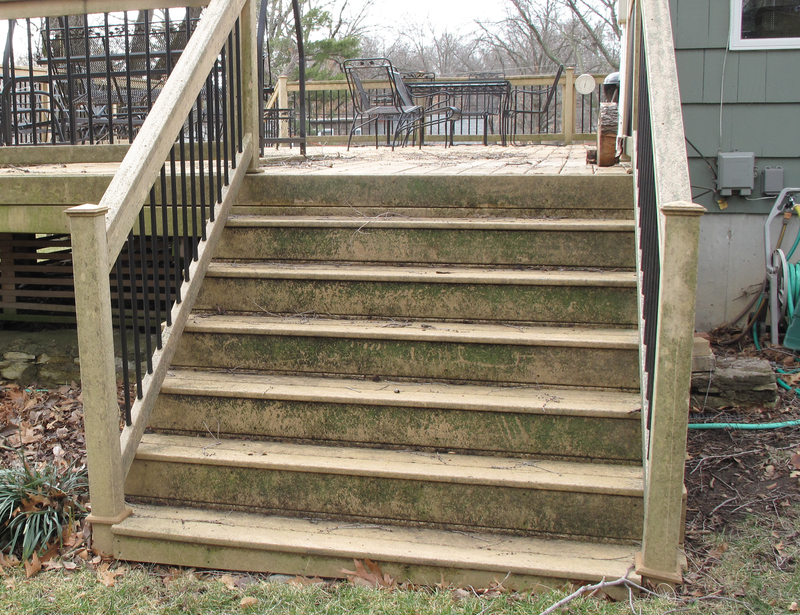 The most common “maintenance” for these exterior surfaces is removing Mold and Mildew. The causes of Mold and Mildew can be narrowed down to 4 elements – spores, food, temperature and a considerable amount of moisture. As most of us know, spores are virtually EVERYWHERE, and this in not limited to just the outside. So, in order to control growth, we need to limit the other three elements as much as possible. Moisture is another hard one to control on any exterior surface because rain, dew and even something as simple as watering your grass cause this to happen. From my experience, when the Mold and Mildew has been the worst, it has been on areas that have heavy shade from trees, overhead trellises, and pergolas, or just being on the north side of the house. Due to the lack of sunlight, these areas just do not dry as fast as other areas and become havens for mold and mildew spores to land and grow. Like most people, I do not feel the urge to cut down a tree, pull up a pergola, or even stop watering my yard in order to keep the spores from growing. So now we have to look at food. An excellent food source for Mold is any carbon-based (and particularly any cellulose, or wood- based) substance. Well, I guess we can rule out controlling the food source. Even just the simple action of trying to clean with our hands poses a problem because the oil in human skin left behind after touching any object provides food for spores. Lastly is temperature. Mold grows at the same temperatures that people prefer. If you go outside in the spring, summer, and fall and enjoy the temperature, so do the spores. This is why it is a common myth that any exterior is maintenance-free, so plan on doing something every year or two in order to keep that exterior investment looking as good as it did when it was new. 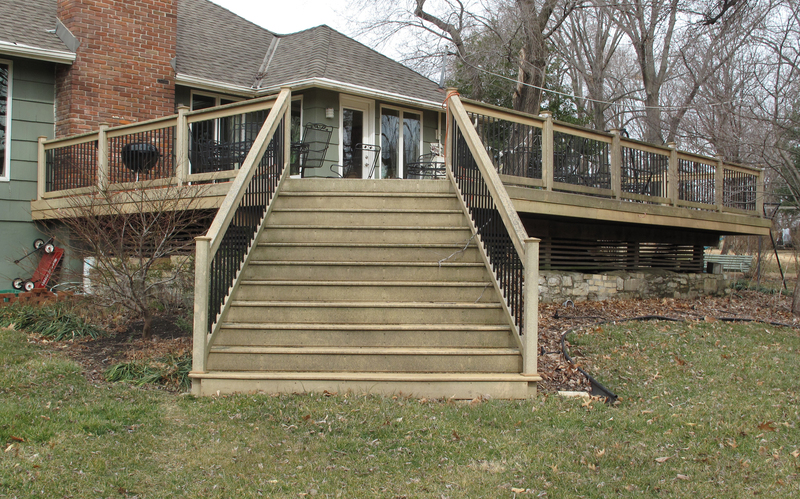 Here is a maintenance free composite deck! 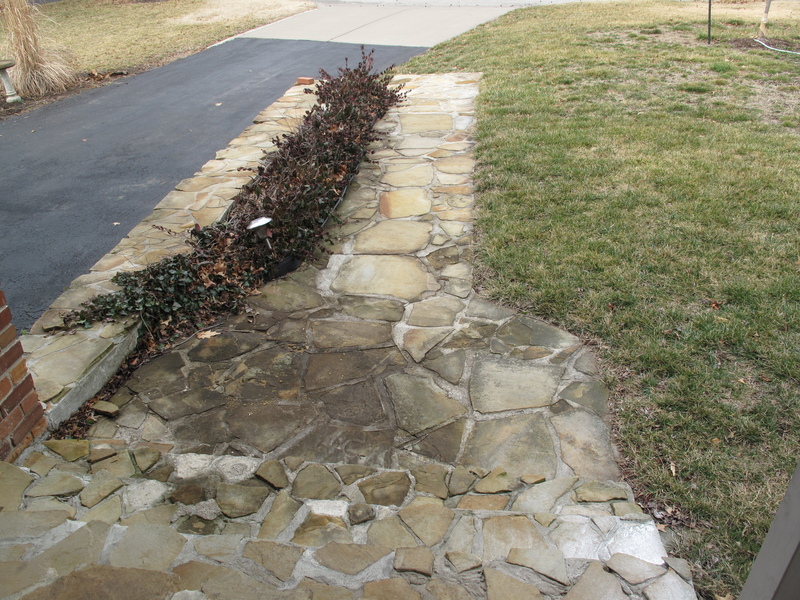 Here is growth on natural stone walkway. Another view of maintenance free composite decking! This entry was posted in Uncategorized and tagged Cleaning Brick, Cleaning Composite Deck, Cleaning Vinyl Siding, Renew Crew. Bookmark the permalink.